Drones crash. It doesn't matter how experienced you are as a pilot, there is always the possibility of crashing. The fact is, most crashes are the result of pilot error. You get a little cocky or careless and the result is costly. The good news is that most crashes are preventable. Here are fifteen things you can do that might save you the pain (and expense) of crashing your drone. Besides violating regulations in most countries of the world, flying your aircraft beyond your visual line of sight greatly increases the odds of crashing. As good as the cameras on drones are, things like power lines and small branches are next to impossible to see until it's too late. Also, since the camera can only see straight ahead, if you turn your drone and start flying sideways, you can fly straight into a wall or a tree that you will never see coming. I have also had the experience (more times than I would like) of having my phone or tablet lose the video feed from the aircraft. In every instance, I simply looked up, spotted my drone, and brought it back down safely. If you lose your video link and can't see your drone, you will have no idea which direction to fly. It's easy to get caught up in what you're seeing on the screen of your phone or tablet and forget to look up to see your aircraft and establish situational awareness. That's what I did the first time I crashed a drone. One second I was admiring the shot I was getting of the boat I was tracking. The next second I was looking at the branches of the tree I had just flown into. It's next to impossible to maintain situational awareness if you never look up from the screen. If you need to keep your eyes glued to the screen because you're shooting video, bring someone with you who can can serve as a visual observer and keep an eye on your drone. They can warn you if you are getting too close to some obstacle. You can trigger it manually by pressing a button on or controller on tapping on the Return-to-Home icon in the DJI Go4 app. If the signal between the aircraft and the Controller is interrupted for more than three seconds it will trigger automatically. If the battery reaches a critically low level it will trigger automatically. When Return to Home is triggered, your drone will ascend to a pre-determined altitude, turn, fly in a straight line toward the Home Point that was set at takeoff, and land. It works amazingly well. 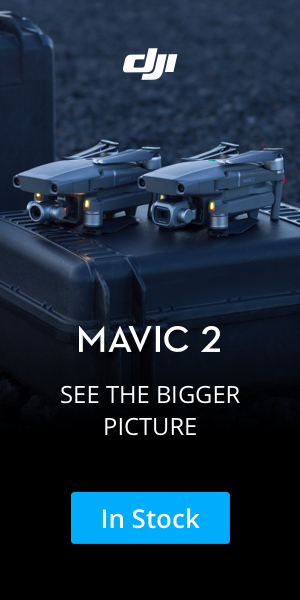 But if it gets triggered while your drone happens to be under a tree or some power lines, the result will not be so amazing. Or if you didn't set a Home Point when you took off and it flies to the one that was set the last time you flew, you might never see your drone again. The bottom line is that Return to Home is a great feature to have available, but there are times it should not be used. I recommend you read this tutorial to help you understand what it does and when you might want to disable it. When the Return to Home failsafe is triggered (either manually or automatically), your drone will go to the altitude designated in the settings, turn, and head straight back to the Home Point that was set at takeoff. Before you take off, look around the area and make sure the Return to Home altitude is set high enough to be sure your drone will fly over (as opposed to into) any nearby objects. Launch the DJI Go4 app. Make sure your drone and Controller are powered up and connected to the app. From the main screen, tap the three horizontal dots in the top right corner of the screen. Tap the first icon (looks like a little drone) to open the Main Controller Settings. Go to the Return-to-Home Altitude option, tap on the box at the right and enter the desired altitude in meters. I love doing pull-back shots for video. They are dramatic. They can also be dangerous if you misjudge the position of your aircraft. In the video below, I was shooting a construction site. I knew there were trees at the edge of the site, but I thought I had plenty of clearance. I didn't and my drone ended up lodged 60' above the ground in the branches of tree. So if you are going to fly backwards, make sure you think through your shot and give yourself a generous margin for error. It's also a good idea to plan your shot and practice it while flying slowly to work out all the bugs. Once you're confident you are not going to hit anything you can increase your speed and get your shot. Or you might consider just speeding up the footage in post-processing. If you really want to get tricky, shoot your video while flying towards the object you're shooting, then reverse the clip in post-processing. As long as there are no people walking, cars moving, or streams flowing no one will ever know. Pilots of manned aircraft go over a written checklist before every flight. They do that because it's easy to get in a hurry and overlook something important. If you forget to check your camera settings, you might miss out on some great pictures. But if you forget to check that your battery is fully seated and it comes loose in flight, your drone will drop out of the sky like a rock. Get in the habit of using a Pre-flight checklist every time your fly. You can download one I have put together or make up your own. Print off a couple of copies and keep them in your flight bag. Use the checklist every time you fly. Trust me, someday it will save you. Birds are unpredictable. Most times they will fly away when they hear a drone getting close. But occasionally they will try to fly away, make an erratic turn, and and fly right into your drone. Sometimes a bird will be having a bad day and decide to get aggressive and attack a drone that is annoying it. It usually doesn't end well for the drone. I dream of shooting an epic video where I swoop in and fly low over a flock of hundreds of birds peacefully floating on a perfectly calm lake. When my drone gets close, the music will get dramatic and the birds will take off and fly up all around me as I pull up. But somehow I think the reality wouldn't be as good as my dream. Plus, why harass the birds? Most drones have sensors designed to detect obstacles. Depending on your drone and settings, if an obstacle is encountered the aircraft will either stop or adjust course and fly around or over the obstacle. The obstacle avoidance technology in newer drones is good, but it's far from foolproof. The sensors don't work well in low light situations. They also have a very difficult time seeing things like wire, cables and small branches. If you look carefully at this video clip, you will see how close I came to the cables that are attached to the smoke stack. I never saw them until I was editing the video. I was lucky. As soon as you power up your drone, it begins connecting to GPS satellites. When it has enough connections to accurately determine its location, you will hear an audible notification that the Home Point has been set. You can look at the map in the lower left corner of the DJI Go4 app to make sure it has been set correctly. Never take off before an accurate Home Point has been set. Here's why. If the Return to Home feature of your drone is triggered, your drone will fly to the last Home Point that was set. So if you were flying five miles away from your current location yesterday and set a Home Point, that's where your aircraft is going to head today if it goes into Return to Home mode. When your drone is facing away from you, using the control sticks is very intuitive. Push the right stick right and the drone goes right. Push left and it flies to the left. But when your aircraft is facing towards you, the controls work just the opposite. If your drone is facing you and flying towards your location and you see it is getting too close to a building on its right, your automatic reaction is to push the stick to the left. As soon as you do that, your drone will react by crashing into the wall. Find a wide open field where there is nothing to hit. Take off and use the left stick to spin ("yaw" is the technical term) the drone around until it's facing you. Practice flying all different directions, until you feel confident flying in any orientation. When you power up your drone, if you get a warning on the DJI Go4 app to calibrate your compass, do it. Your aircraft uses GPS to determine its location. But it relies on an accurately calibrated compass to determine which direction it is heading. If you don't calibrate your compass and a Return to Home sequence is triggered, your drone may fly off in the wrong direction. Calibration is easy and only takes a minute. Just tap the Calibrate button on the screen and follow the directions that will appear. If you are flying and have a warning appear on your screen that there is some sort of interference or compass calibration issue, get your aircraft on the ground as quickly as possible and do the calibration. You should never fly with a compass that is not calibrated. The more frequently you fly, the better you will be. So much of flying a drone is muscle memory. That's what enables you to react automatically when something unexpected happens. 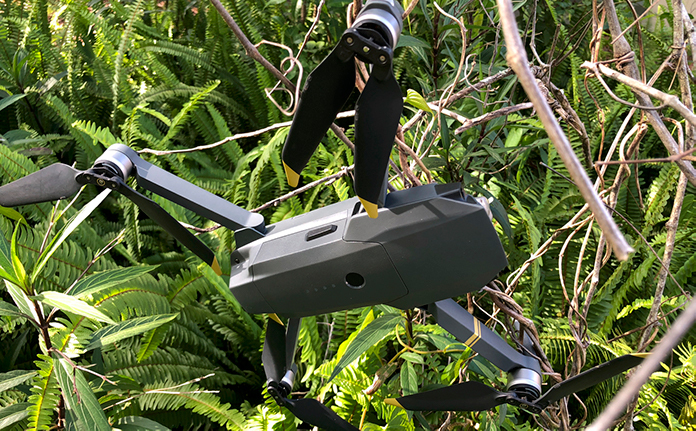 If a gust of wind suddenly starts pushing your drone into a tree, you don't want to have to stop and think about which way to move the control stick. The only way to develop muscle memory is to fly regularly. I'm a better pilot now than I was a year ago. I fly with more confidence. I can perform maneuvers that I never would have attempted when I first started flying. I know my equipment and have honed the settings I use to be able to make my drone handle the way I like. I can react instinctively when something unexpected happens. But there are still some things that I won't try because I know they are beyond my ability. That's common sense, but sometimes when we see a video of a person doing something cool with a drone we can be tempted to try it. Don't. Stretch your comfort zone, to be sure, but do it in a way that makes sense. Know what you are capable of and don't worry about showing off or proving something to yourself or anyone else. Running out of battery life and having a drone land itself is a fairly common cause of crashes. 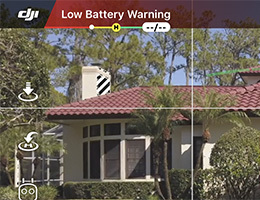 In addition to a number of visual indicators in the DJI Go4 app, you will get a very clear and persistent warning when your battery reaches 30%. If you ignore the warning and continue to fly, when the battery reaches a point where there is only enough power to get back to the takeoff point, a Return to Home sequence will be triggered. If you cancel the Return to Home and continue to fly, when the battery reaches the point where it only has enough juice left to land in a controlled manner, it will auto-land. Better to land in a controlled manner than drop out of the sky like a rock. The problem is, at this point you don't get to pick the landing spot. It might be over a lake, the middle of the woods, or a busy highway. Don't ignore the battery level warnings, especially if you are flying a long distance from a safe landing spot or if it's windy. Trying to get that one last picture could wind up costing you a lot. The DJI Go4 app has some automatic flight modes you can use that will control your drone while you concentrate on shooting video. So, for example, you can set your aircraft to orbit an object at a particular distance and speed. Or you can have it track a boat while it skims across a lake. Before you select an automatic flight mode, look around the area and anticipate the path your drone is going to take. Make sure there are no obstacles or that you will be high enough to avoid them. Active Track is especially dangerous, especially if the object you are tracking is making a lot of turns.